I dreamt of a "burning column" last night. It seemed to represent a start of something new, but the details of the dream are a bit hazy and I felt compelled to put it into paint. 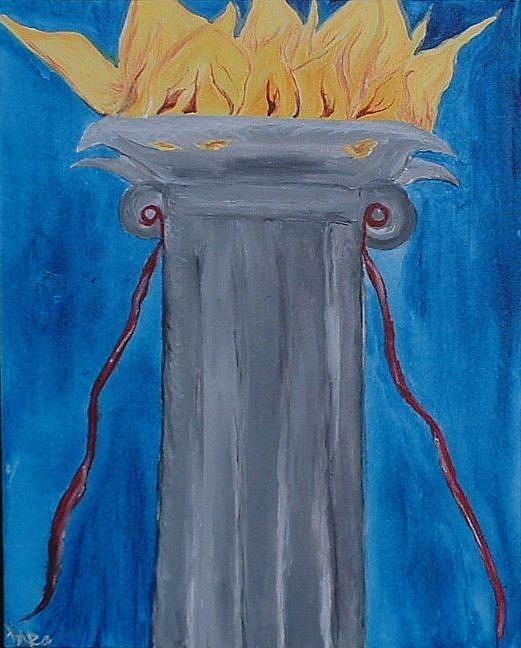 This is a 16" by 20" canvas, with a light blue background, gray-black column and fiery top. The two red ribbons that stream from the sides represent a celebration of sorts, and seem to add to the enigma of the piece.